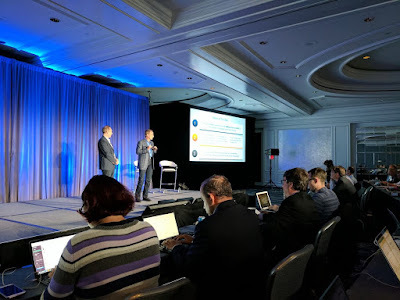 VMware, Inc., a global leader in cloud infrastructure and business mobility, today announced key findings from a VMware-commissioned study that identifies key CIO priorities in India for the next three years. Conducted by Kantar IMRB, the study suggests how IT/ Data security is a key challenge organizations face in the mobile cloud era and how most organizations surveyed are keen to adopt cloud computing to enhance business agility and efficiency – hence information security and cloud services will have maximum impact on businesses in the next 3-5 years. As per the research findings, even though organizations are progressively looking for a modern business environment, they are concerned about having a proper security environment in place owing to the open nature of the Internet and increasing cyber threats. 86 percent of organizations see their IT budget increasing over the next 3 years and 80 percent of businesses are willing to invest time, money and skill on cloud services. o Study findings reveal that very large enterprises (80 percent), large enterprises (83 percent) and medium enterprises (82 percent) are likely to invest in private cloud. Likewise, a high majority of them are also keen to invest in public and hybrid cloud. o 87 percent of respondents in the IT/ ITeS/ Telecom sector; 55 percent of respondents in the manufacturing sector; 64 percent in banking, financial services and insurance (BFSI); 53 percent in government/public sector/defence; and 65 percent from other services agree IT security is amongst the top business priorities. o 61 percent of respondents from BFSI and 57 percent of respondents from IT/ ITeS/ Telecom rank managing security and compliance high owing to the nature of their business. o Findings also indicate that respondents from the government (70 percent) and BFSI (67 percent) feel that budget for security should increase by 25 percent over the next year. The survey was conducted from May to June 2016 across five industry verticals including Manufacturing, Banking and FSI, Government/ PSU / Defense, IT/ ITeS/ Telecom and Other services (Media, Healthcare, Retail & other Professional Services) covering Pan-India locations. Inputs were gathered from over 150 respondents across a variety of companies ranging from medium-sized to very large organizations. All respondents surveyed were IT leaders and decision makers in their respective organizations with designations that included CIO or an IT Head.